Choosing A Home Defense Gun: Pistol, Rifle Or Shotgun? 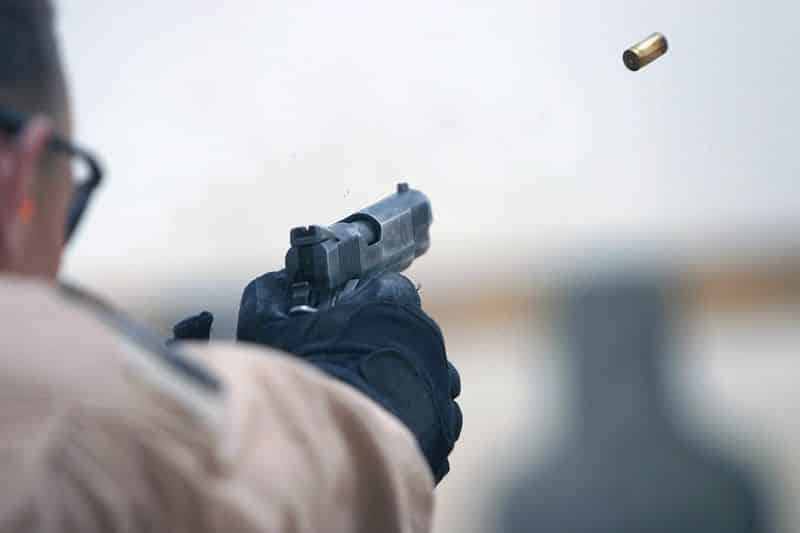 Home Articles Choosing A Home Defense Gun: Pistol, Rifle Or Shotgun? There’s obviously a difference between a concealed carry gun, like what you might put in a concealed carry holster, and what makes a good home defense gun. The former needs to balance shootability with portability, but the latter…not so much. Since it’s only going from the house to the range and back – and maybe a sojourn to the field or blind and more on that latter – you don’t have to worry as much about carrying it every day. 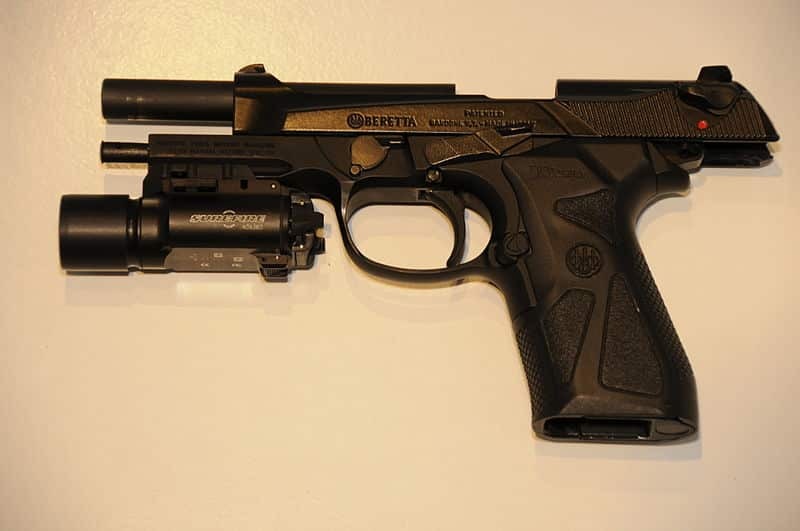 Or you may want a handgun you will carry every day that also serves as your home defense pistol. Most people come down to choosing between a rifle, shotgun or a pistol as a home defense gun. Here’s a quick rundown on all three in the role. A home defense handgun can be either your carry gun that you normally pack on a daily basis or a dedicated pistol that stays in your home. Typically, people will keep a favorite service-size pistol for home defense and a compact or subcompact gun for daily carry. It isn’t strictly necessary to have both. One compact or subcompact pistol for both roles is sufficient, but having a backup certainly never hurt anyone. You should choose an appropriate caliber that you can shoot well. Don’t get a .44 Magnum if you can’t stand shooting the thing. This is where that Beretta 92, Glock 17, Ruger GP100 or 1911 pistol that you love shooting but may not like to carry due to size and weight comes good. A laser/light is very beneficial in the home environment, as would be a reflex optic for fast sight acquisition. Instead, you should have a handgun of adequate caliber, with an appropriate defensive loading, that you can operate quickly, efficiently and safely, and shoot accurately. 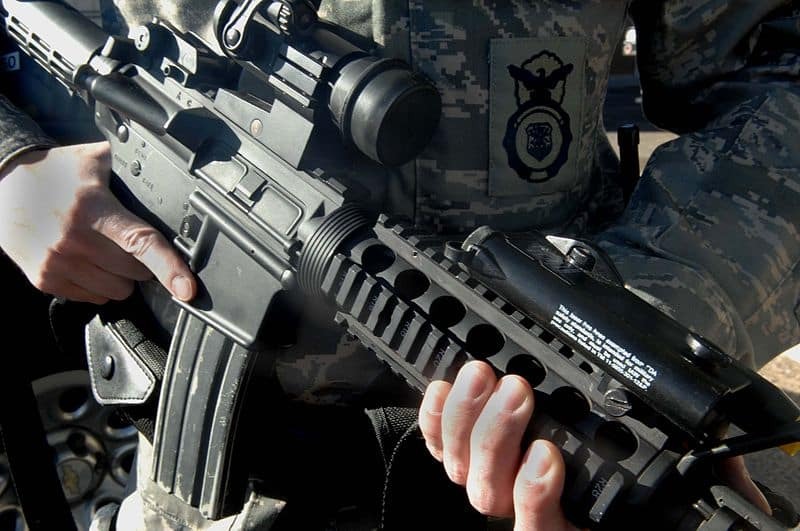 If considering a home defense rifle, you might well be thinking of an AR- or AK-pattern semi-automatic. Perhaps you desire something a little different, such as a Ruger Mini 14, Springfield M1A or SKS. Maybe you’ve decided on something delightfully anachronistic such as an M1 carbine or a lever-action carbine such as a Winchester 1873 or gun based on it. The tight environment of the typical home make a full-size rifle a touch problematic, and you need to be able to maneuver quickly in a defensive scenario. Therefore, you’ll want to select a gun in the carbine size with a barrel length of 20 or fewer inches. That said, most rifle calibers are drastically overpowered for home defense. The .223/5.56mm NATO cartridge – the most popular rifle cartridge today due to the AR platform – can and will easily over-penetrate and easily go through the attacker, the wall and into your neighbor’s house/child’s room/out to the street. Home defense loadings have been developed, but the very small/very fast cartridges tend to be better suited to varminting, coyotes, and target shooting outside of military roles. Instead, if you insist on a rifle, a pistol-caliber carbine is a better choice. Hollow point rounds can be used and will have some extra zip with a longer barrel length. Calibers such as .44-40, .357 Magnum and .45 Colt will have that much more behind them, which are proven to be effective self-defense rounds provided proper bullet selection. 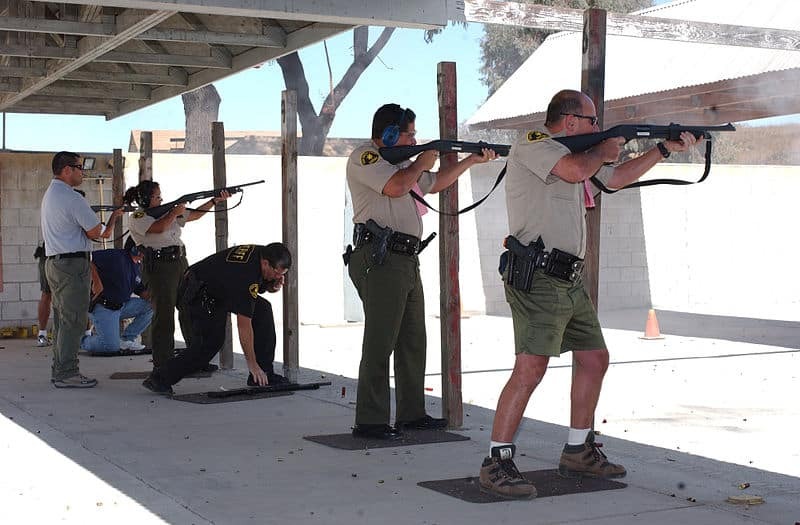 Among long guns, the shotgun is the better choice for home defense. Over penetration is less of a risk, even with buckshot though it can definitely still happen. After all, if you can punch through drywall…shot isn’t going to have much of an issue. The track record of shotguns as a personal protection gun in law enforcement and even in warfare is well-documented. In the home, they are a good choice. Some people consider lower capacity a hindrance. It’s actually not; very, very few defensive shootings involving civilians involve more than a few shots fired. Therefore, the standard pump gun holding three to five rounds (with the plug removed) is perfectly adequate. You can also get more use out of a shotgun as a firearm. Put the plug back in, install the appropriate choke and load with birdshot for hunting. Swap the smoothbore for a rifled barrel, and you can even hunt bigger game with buckshot, sabot or slugs. Ideally, you’ll want a shorter barrel length for a home defense gun. The 26- to 30-inch barrel of the typical pump gun is more advantageous for hunting; the longer the barrel, the longer it takes for the shot to spread out. That said, the shotgun is very adept at a defensive role. If you absolutely want a long gun for home defense, it is the kind to acquire.